life.....N everything in it! : What's with girls and shuz? What's with girls and shuz? CROCS Malaysia had their warehouse sale starting yesterday till 3rd May 2010. 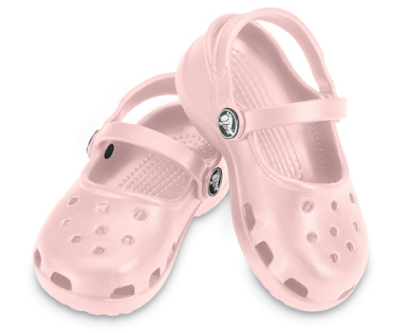 Z managed to grab 2 pairs for Kyra since she loves wearing her Crocs super much. 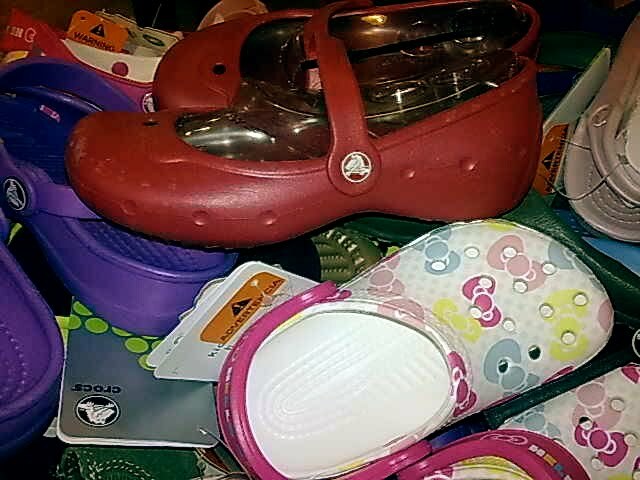 So I asked him to get Kyra a RUBY RED Alice (1st pix) in size M1, and PINK Mary Jane (2nd pix) in size M2! 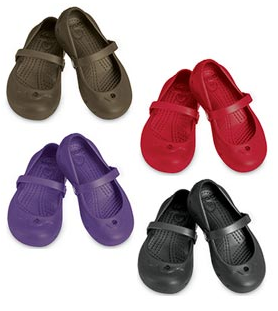 The usual prices for Kyra's Crocs are between RM119 to RM129 depending on design, and for these, we only paid RM35 per pair! Yeap, amazing discounts huh! Over 70% mark down :O So totally worth it! 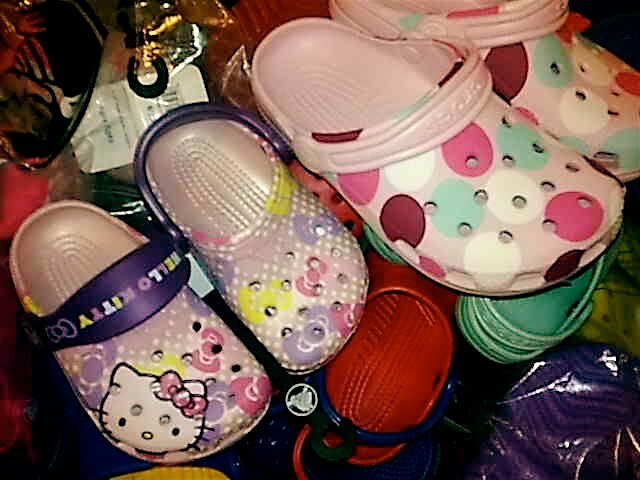 These below are the ones we didn't get coz I usually don't buy things that are not so classic and will bore me over time.....Hello Kitty Crocs are discounted to RM50 per pair, Polkadot ones too! "Mummy I will tell you how to bake it later"
Kyra & Mummy's FAVE Cupcake! It's a BIRD! It's a DRESS! HFMD down, ASTHMA to conquer! Bad news for an Easter weekend! It's Truly Bloomin Brilliant, Jamie!